My kids love card-shopping. Not because they enjoy finding the perfect pictures and sentiments to send to their loved ones. Nah. They just want to stand there and open up the “cards with sound,” the more annoying the better. Open a card, hear a screechy, nearly unintelligible voice saying something about flatulence–what could be more wonderful? See the lovely cover. And the lovely chocolate. And the lovely caffeine in handy beverage form. Ignore the not-so-lovely car keys and post-its. I realize that I’ve just lost a good percentage of my readers as they grab their wallets and migrate over to Amazon. For those of you who are staying…. The Lost Files, contrary to their name, were never lost, buried under some unused indices or decades-old issues of The Evening Standard. No, they’ve been waiting in Watson’s tin dispatch box at the venerable Cox & Co., waiting until such time as he saw fit (or was permitted) to share them with the public. Often in these instances, we get some kind of mournful reference,*** but fortunately these stories have been released at Holmes’ own suggestion, now that enough time has passed (or, for all we know, Watson needs the income). The Files vary in their complexity. In the first offering, “The Adventure of the Connoisseur,” for example, the reader gets a fairly straightforward mystery, which includes an apparent nod to Rathbone and Bruce’s Dressed to Kill (1947). “The Missing Don Giovanni” is another puzzle the reader may figure out before Watson, but Holmes does a nice turn of deduction with a pair of trousers and his attitude towards a stricken woman contrasts nicely with the scorn he shows his arrogant client. “The Hooded Man” is creepy, with a Doylean rumination on sin coming home to roost. “The Old Grey Horse” takes us, not to the track but a tavern, and in it Gilbert touches on some of the horrors of London poverty–conditions which Holmes no doubt saw constantly, but which tend to go unmentioned in the canon. These stories are all quite serviceable; however, as in any anthology, certain chapters stand out. Try as I might, I cannot think of a way to discuss “The Adventure of the Conscientious Constable” without giving away the twist, but if you’re a fan of Shinwell Johnson, disguises, and the London underworld, you’ll get your fix. Fine, upstanding citizens of the Empire’s greatest city. 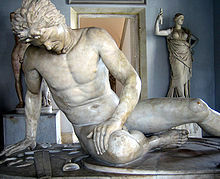 The collection’s final story, “The Adventure of the Dying Gaul” takes Holmes and Watson across the channel to Rome, where they help Inspector Gialli locate a missing statue…. Which is, actually, a real statue. See–here it is! This is great, particularly for Gialli’s career and art lovers everywhere. 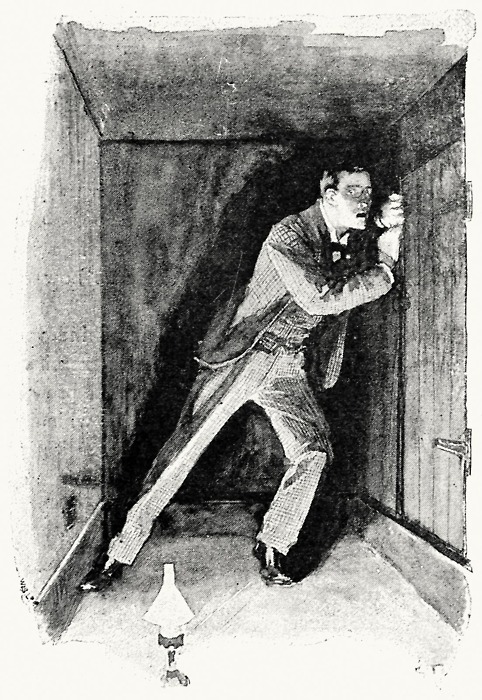 However, the most important part of the story takes place on the train between Paris and Turin, in which Holmes shares with Watson the results of a disturbing chain of research and deduction that have convinced him that the events of 4th May, 1891, were not as final as they had long believed. Watson, of course, thinks his friend has come unhinged, and even wonders how much of this is due to the contents of little glass vials, but Holmes’ reasoning is impressive; it made me wish Doyle had used it himself, because if there’s anything the original stories need, it’s more Moriarty. It’s easy to dismiss this little pomposity as Watson does: an amusing display of Holmes’ overinflated ego. But keep it in mind for later. At this point, I feel I must warn you: EVERYTHING YOU READ AFTER THIS PARAGRAPH MAY BE A SPOILER! I am not kidding. So, if you don’t want to know what happens in the story, now is the time to leave. For your convenience, I will tell you that The Lost Files of Sherlock Holmes is now available on Kindle, receives 4 1/2 stars, and if you like a strong, traditional Holmes, or are a Granada fan, you will thoroughly enjoy it. Now go. Run, Gentle Reader, while I keep the Spoilers from escaping! Pretty much no, says Watson. And then it dawns on him. Just that little bit of self-disclosure, along with a bitter condemnation of the woman who is now Alice Masterson, seems to give Holmes new strength, and he decides to continue with the case after all, under the condition that the Colonel never learn he’s hired another of his wife’s dupes. In the end, the array of lies spread out to view in this sordid episode is astounding. Watson’s agreement to conceal Holmes’ conflict of interest is perhaps the most benign, although upon reflection it, too, contributes to the tragic ending. In the end, we’re in the carriage with a dark, silent Holmes, a sweating, anxious client, and an oblivious Watson, on our way to fetch the Colonel’s faithless wife and bring her back home. No one is going back to Avalon. Later, Watson wonders if Holmes had known what Alice Masterson’s fate would be. How the Colonel would avoid the gallows. He loves his friend, and so he cannot credit it. 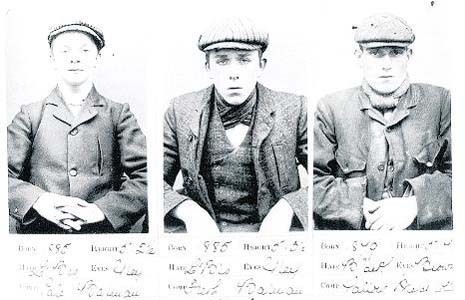 It is not the same thing as when Holmes had pardoned James Ryder, just a few months before, or when he and Watson together will serve as judge and jury for Captain Crocker years later. No, it is not at all the same. This is a dark, disturbing little story. No doubt it will put off many readers who prefer to see Holmes as, first and foremost, a creature of logic who is able to consistently rise above any of the passions, should he feel them at all. Others, like myself, who are quite willing to let him have his “hidden fires,” may balk at the idea that, not only was he unable to rise above his own pain to forgive the woman who damaged him, he was also able to allow a fellow victim to proceed to his own destruction without a word. Avalon, if you remember, was destroyed (in part) by adultery, as Guinevere cuckolded an adoring husband with his best friend. In at least one version of this story, Arthur, pressured to execute his wife for treason as required by law, begins the process with the desperate hope that Lancelot will come to save her (which he does). The pain is deep, but love and forgiveness between the three are there as well, elevating their story above the tawdry. Centuries later, in this Avalon, evil begets only pain and more evil, and when this Arthur has the chance to illuminate the darkness, he does not. While his friend looks the other way, we are forced to consider how even the best and wisest parts of us live together with our demons. After a few days’ ruminating, I went from disliking “The Mystery of Avalon” to believing it the best story in the book. Still, many readers may find Holmes to be too far out of character for their tastes. If this describes you, never fear–The Lost Files of Sherlock Holmes contains six other very traditional stories perfect for a blustery fall evening by the fireside. The Lost Files of Sherlock Holmes was once out-of-print and only available on Amazon and other sites for a ridiculous amount of money. I will never reveal what I paid for it. Within just a few months of that purchase, of course, it became available on Kindle. Learn from my mistakes, oh impetuous book lovers! Mr. Gilbert’s newest book, The Annals of Sherlock Holmes, will be released on October 31st, 2012. Mr. Gilbert is available on both Facebook and Twitter. *Make this happen, somebody. Please! **Actually, Gilbert’s Watson voice is very good, too. †You know, in real life. 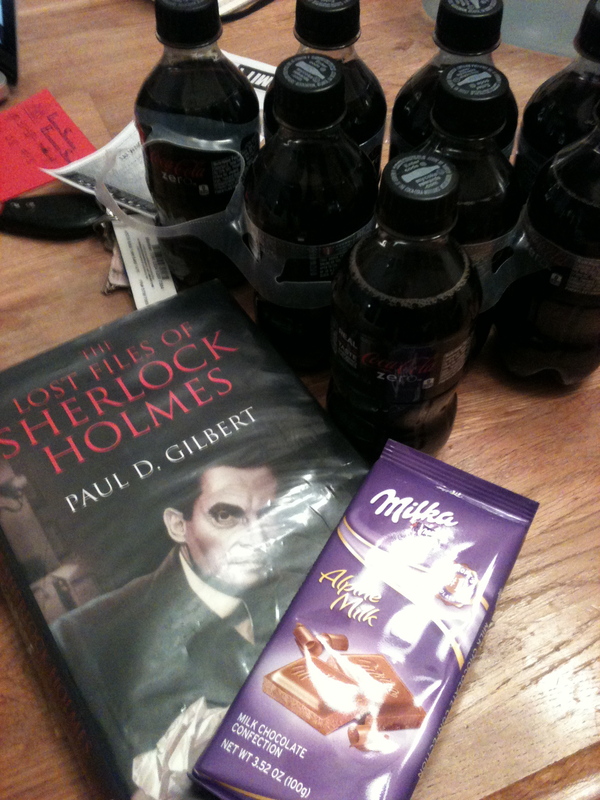 ††So, if you had Three Sherlockian Wishes…. I would like to thank you for taking the time to read and make such intellegent and insightful comments. You appear to understand my writing perfectly. I wonder if you would be interested in reading my two other efforts. The next book was ‘The Chronicles of Sherlock Holmes’ the first story of which follows on from The Dying Gaul and in 2010 my first novel ‘SH and the Giant Rat of Sumatra’ was released. I would be very pleased with any feedback from any or both of the above.